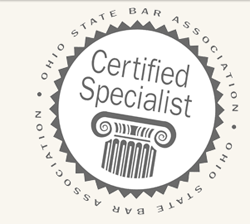 Our labor and employment practice, headed by Frank Consolo, an Ohio State Bar Association Certified Specialist in Labor And Employment Law, counsels companies on a variety of labor-management and employment issues, including collective bargaining negotiations, grievance–arbitration, employment discrimination and harassment charges, overtime pay, non-compete agreements and wrongful discharge claims. Our labor and employment attorneys handle matters in State and Federal Courts as well as before the EEOC, OCRC, SERB and NLRB. Our workers’ compensation practice counsels self-insured and state fund employers, on all workers’ compensation issues, including claims allowance, temporary total compensation, medical treatment authorization, permanent total disability, permanent partial disability and violations of specific safety requirements. Over the past 10 years, our workers’ compensation attorneys have handled, on average, 3000 Industrial Commission hearings per year, 75 common pleas court cases per year, 7 VSSR matters per year and 3 mandamus matters per year. Our business transactions practice, headed by Frank Consolo, evolved out of Frank’s years of counseling companies on labor and employment issues. Over the years Frank was called upon to draft and negotiate agreements for the sale and purchase of businesses, real estate transactions, and general corporate matters including incorporation and forming limited liability companies. Copyright © 2012 Consolo Law Firm LTD // A QuickSite By The Intersoft Group, Inc.